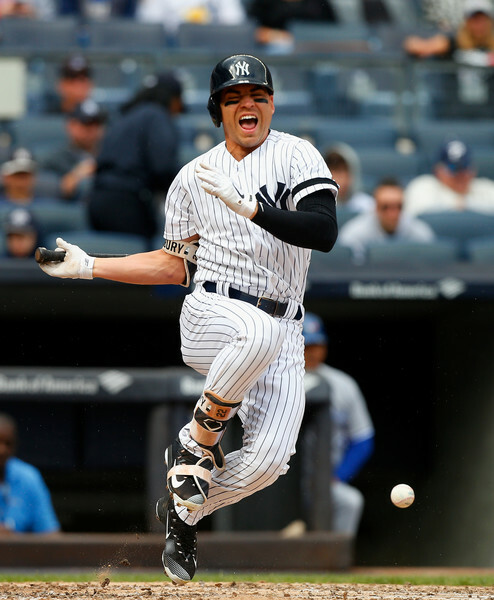 The Yankees would have to include some combination of Jacoby Ellsbury, Chase Headley and maybe Brett Gardner to make their tax goal still work. And while it’s a long shot, technically it’s doable. 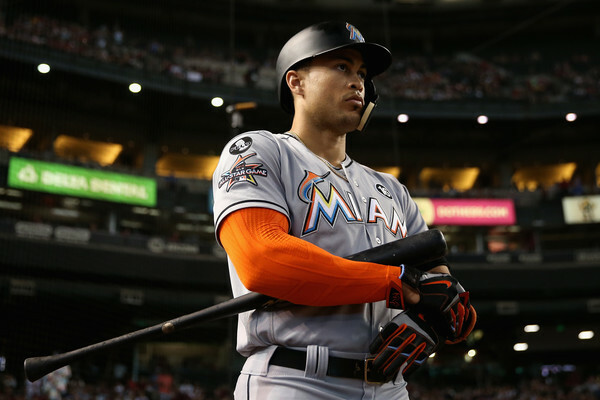 The Marlins are said to have started Stanton talks by asking any acquiring team to take his full contract and the $295 million to go over 10 years while also giving up good prospects. 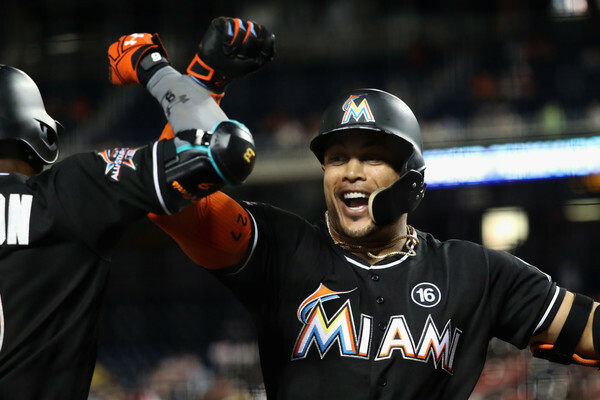 But sources say they are open to negotiating off that, depending on the total take, and the Yankees have a plethora of very good prospects that could entice Miami." There are those names again. Plus, there's Brett Gardner. Remember when the Yankees were thinking about trading him? 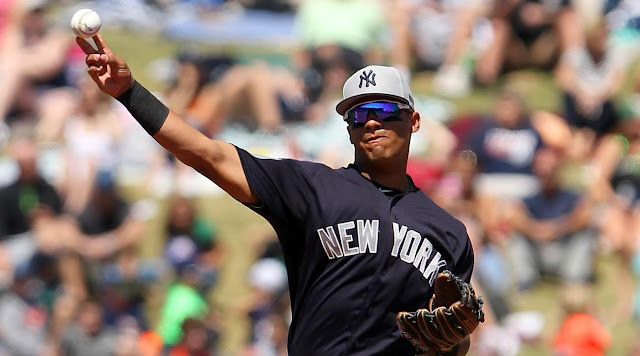 Now look, getting Stanton for those 3 old guys won't happen... but Heyman is right in some regard... if the Yankees can be creative, get rid of some prospects (be smart Brian) and still manage to throw Ellsbury and Headley in, we perhaps have something. 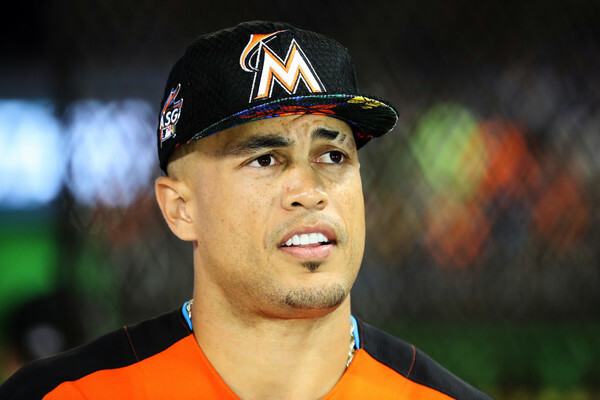 Will Stanton ever be in pinstripes? I honestly do not think so... but hell... it's fun to think about. This is a slow Winter so far. There's been only one noteworthy free agent signing and we are now five weeks from the Yankees cutting ties with Joe Girardi and we still have no new manager. I was restless a while ago but now I am just losing my mind. Give me some action, somewhere! The lack of movement has me coming up with too many theories. My latest theory? Maybe the Yankees aren't sold on any of the managerial candidates they have interviewed so far. 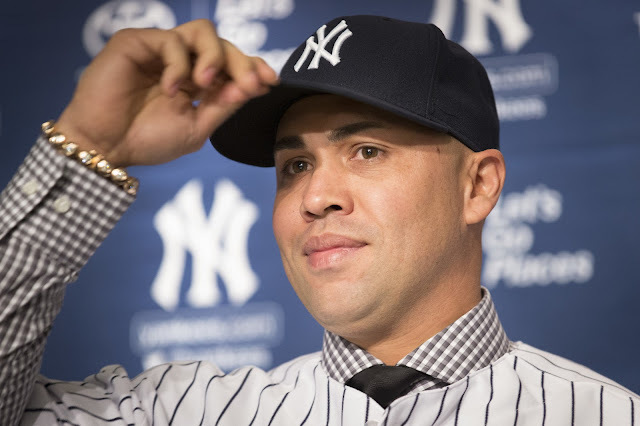 As of yesterday's interview with Carlos Beltran, the Yankees have interviewed six people. 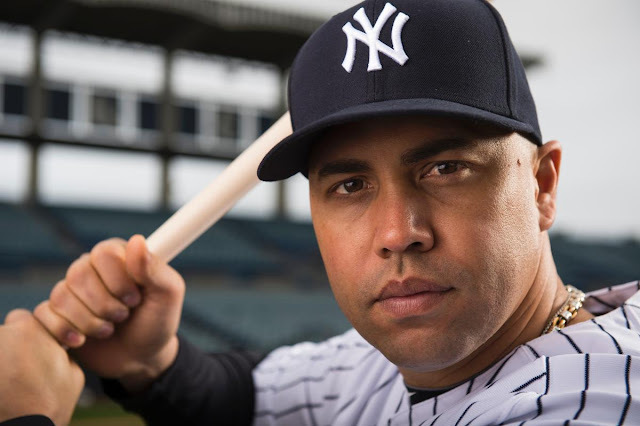 I have faith the Yankees will choose the best man for the job but I have to admit that as much as I REALLY like Beltran I am not sold on giving him the job UNLESS he has an incredibly strong bench coach and coaching staff around him. He's a great clubhouse presence, a good communicator and a leader but....does he have his finger on the analytical piece? Maybe he does and I am not giving him enough credit but obviously the Yankees have enough confidence to give him the opportunity to interview. Considering that there are analytical guys out there that haven't been given the opportunity to interview yet and may still be waiting like David Cone. According to a recent update HERE he hasn't been contacted. The Yankees seem to be looking for some quality that they just haven't found yet. Even if they were intrigued by something in Beltran's interview it sounds like the Yankees have one if not two more candidates to interview before making a decision according to the NY Daily News HERE. If that is the case, could the Yankees go into the Winter Meetings STILL without a manager?! To add to my theory, even though Rob Thomson is considered a favorite for the job given his good reputation within the organization maybe the Yankees are ready to part ways with him too. He got the first interview and has said he even wants to stay within the organization even if he isn't the next skipper but he's already looking at other opportunities. According to the New York Post, the Phillies are interested in Thomson and they interviewed him for their bench coach position yesterday. Is he just being proactive or did the Yankees already hint to him that they wouldn't be interested in him as a manager? You can't blame the guy for looking for a job, even though he is well liked, he's not guaranteed to even get his bench coach position back. 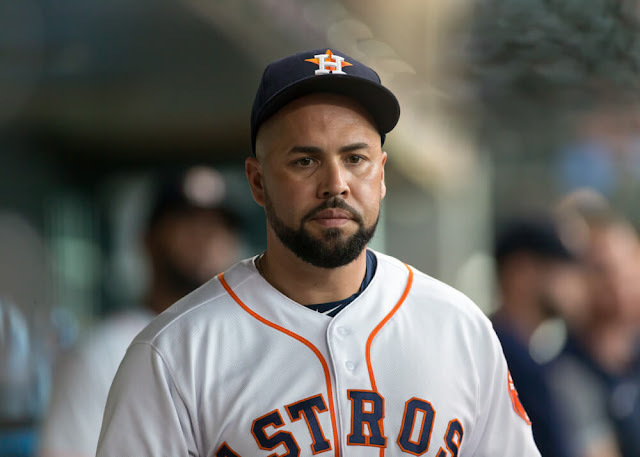 So Is Beltran our next manager? 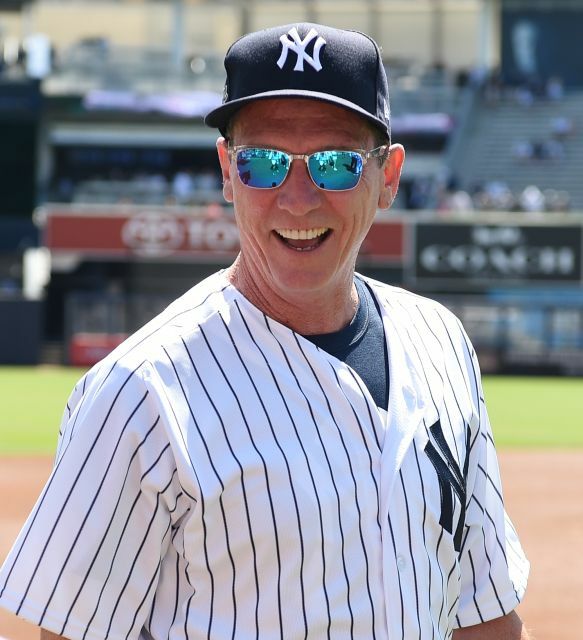 Will David Cone wait for a phone call that will never come? 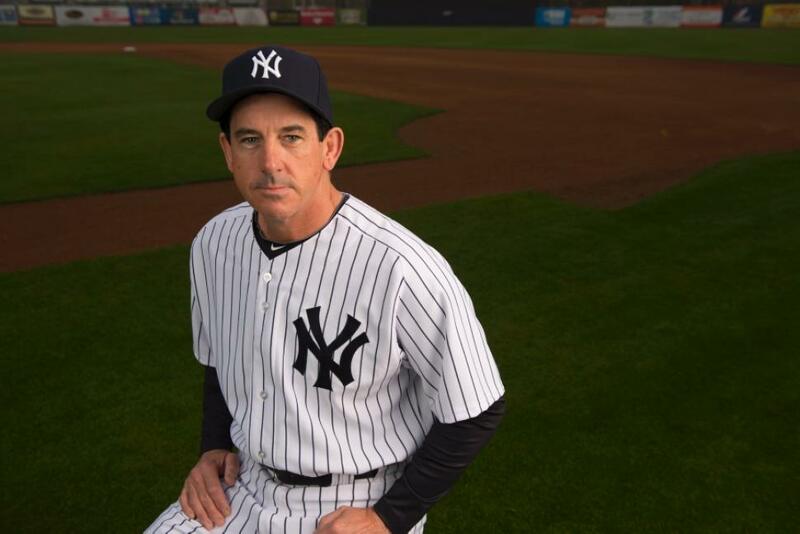 Is Rob Thomson done with the Yankees for good? I hope the answer to that last question is "no" but I guess we will have to wait and see. 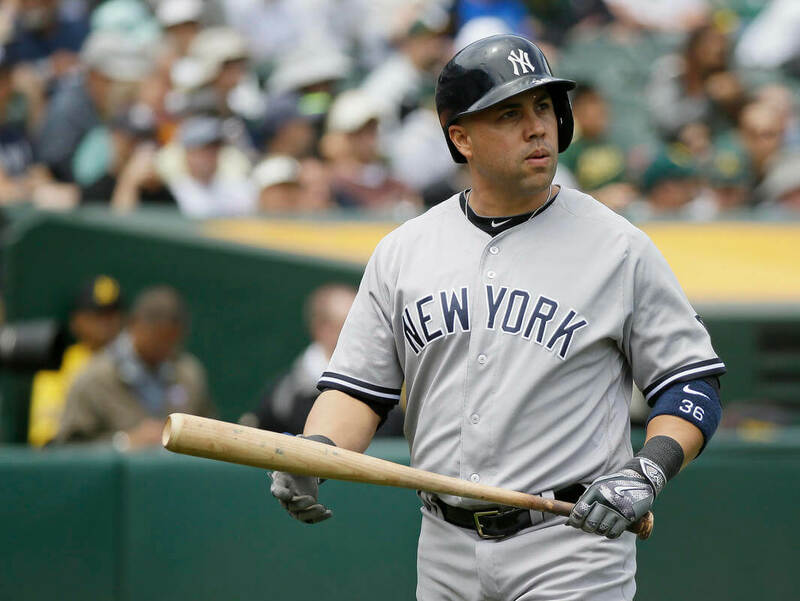 The biggest buzz so far when it comes to Yankee manager is news about Carlos Beltran. And our bud, Bergen Record guy Pete Caldera is all over it. Pete has a piece out about Beltran, but I wanted to share with you the Tweets from Pete and to be honest... it's some of the best reporting coming out of the managerial interviews so far. 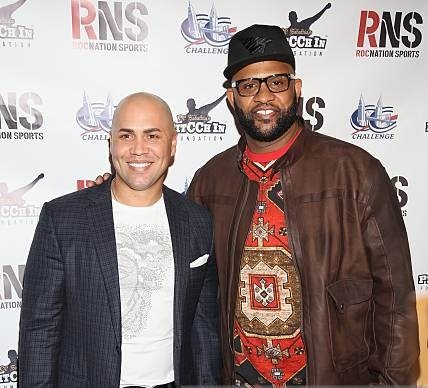 Now look, I was never a big Beltran guy, but I know for a fact that CC is right... the guys love Carlos and when he finally came to the Yankees, his personality, probably because he was at veteran status, started to shine and all I've heard is about how well liked he is. With liking someone comes respect, and maybe that would mean the younger guys would play hard for CB. No idea, but that's how I feel about it. Anyway, if you wanna read Caldera's Bergen Record piece, go HERE. In the meantime, we wait and see what happens next. Just because you can run, doesn't mean you can run a marathon. Just because you can cook, doesn't mean you can be an Iron Chef. And just because you can play baseball, doesn't mean you can manage a team. I could end this piece right here. And many of you would say, "Yea, Suzie, you're right." But I won't. I will give you more because although I admire Carlos Beltran and wish him good luck on his interview with the most celebrated franchise in the history of sports, he is just not ready to manage the New York Yankees. "It was in the later part of his career that Beltran — whose instincts and baseball I.Q. have been long lauded — evolved into a leadership role on various teams. 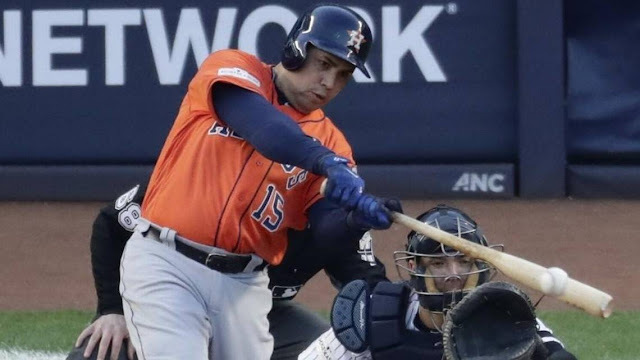 He counseled younger teammates, especially Spanish-speaking ones, in his stints with the St. Louis Cardinals, the Yankees, the Texas Rangers and, finally, the Astros, where he became a confidant of the team’s young star shortstop, Carlos Correa, who, like Beltran, is from Puerto Rico," reported the NY Times on Tuesday. I believe in his ability to mentor a player or two. 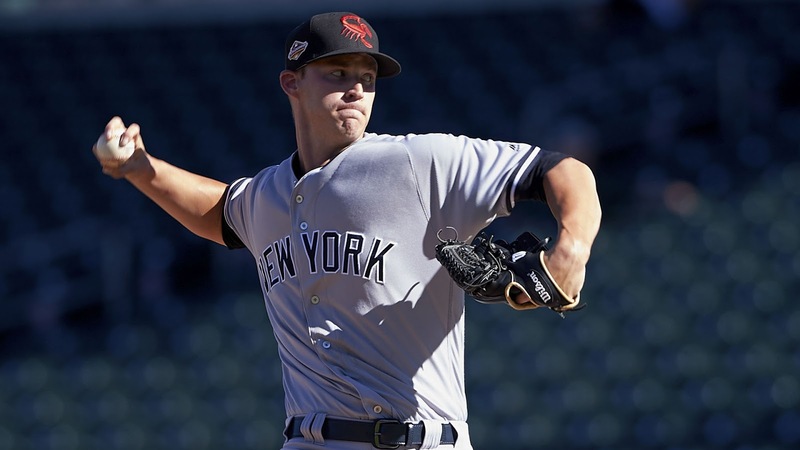 Even his presence in the locker room makes a difference around rookies and recall that he asked to have his locker placed next to our Rookie of Year, Aaron Judge, when he came up from Scranton back in 2016. But he's not a manager, yet. 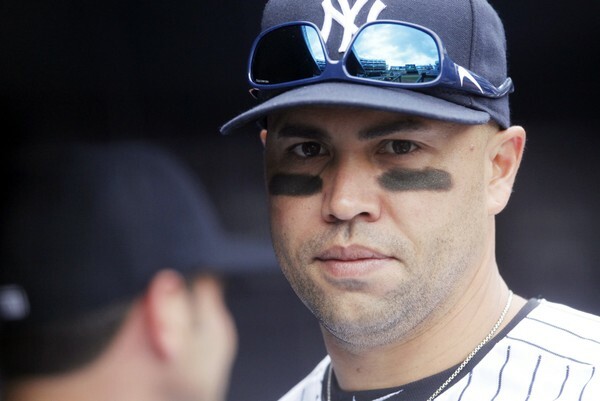 "General manager Brian Cashman considers Beltran a friend and has mentioned that the past two Yankees managers, Joe Girardi and Joe Torre, basically went from playing to managing," reported ESPN. 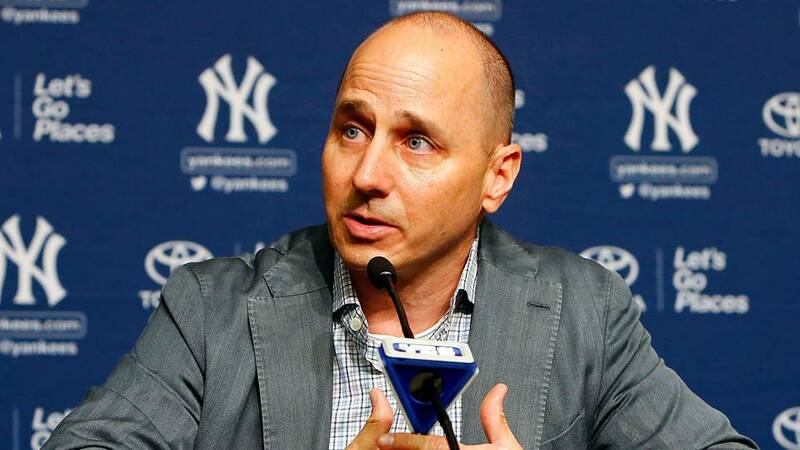 Just because you are a friend of Cashman, doesn't mean you can manage the Yankees. This is just ridiculous. We are the Yankees. Get your rookie managing career started at a small franchise team and work your way up. Just like news anchors. Just like doctors. Just like Steve Jobs. Make your path, build your legacy- just not here, not now. “I do know he has an interest there,” Cashman said. “He’s played the game a long time, he knows the game inside and out, he’s got the respect of his peers. He brings a lot to the table," reported the Times. As I said, I wish Beltran well and a good interview later today. But this is not meant to be for 2018, at least not here in New York. Build your resume somewhere else, Carlos. New York does not need a rookie manager to manage a predominantly rookie team. 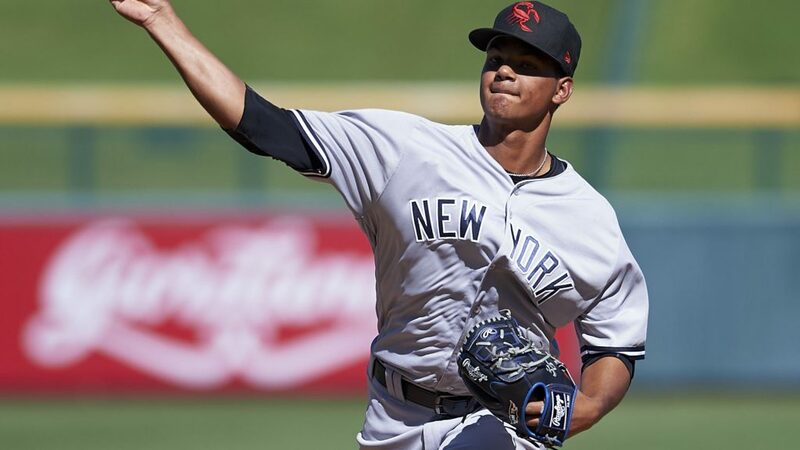 BIG RESULTS FROM OUR YANKEE PROSPECTS! Well, that's all she wrote! The curtain has closed on yet, another Arizona Fall League season. "Albert Abreu, RHP, Yankees' No. 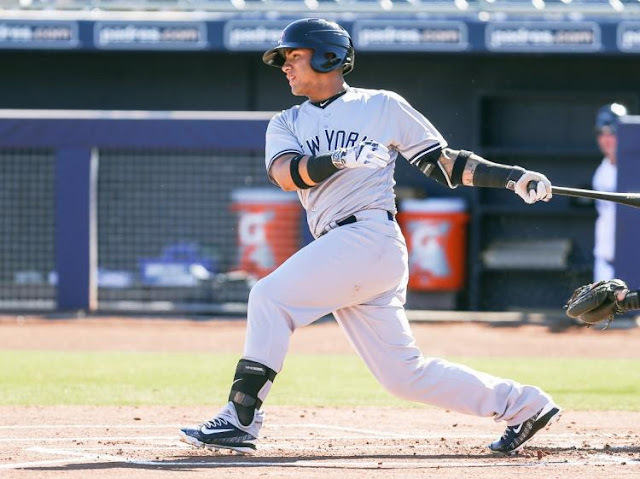 7 prospect: If he's in New York's top 10, he obviously wasn't completely off the radar, and he was a big part of the Brian McCann deal. But after just 53 1/3 innings in his first season with the organization due to a shoulder issue, all in A ball, there were questions. Abreu still needs to work on his command, but a 2.60 ERA and .219 batting average against in 27 2/3 IP with premium stuff certainly answered some of them this fall. 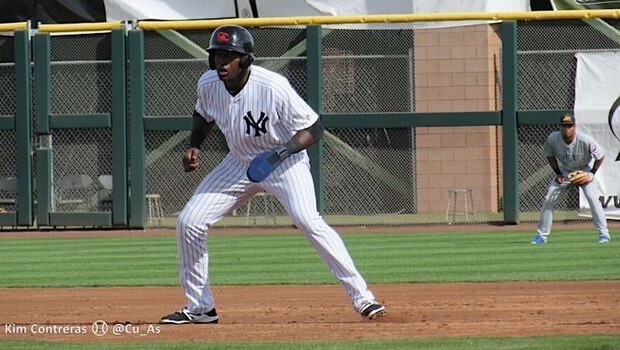 Thairo Estrada, SS, Yankees' No. 17: After hitting .301 in Double-A at age 21, perhaps Estrada should be more on the map. Hitting .342 this fall won't hurt, nor will his outstanding defense at shortstop for Scottsdale. " While those 3 were not the biggest names of the Yankee prospects, they each showed a lot of promise and a glimpse of the future. 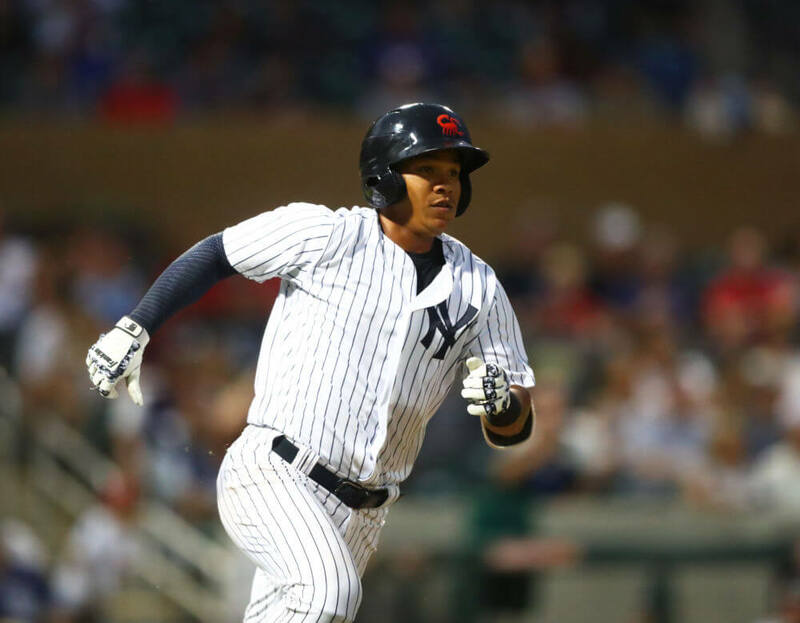 Speaking of the biggest names the Yankees assigned to the AFL... Justus Sheffield, Estevan Florial and Billy McKinney all looked solid. 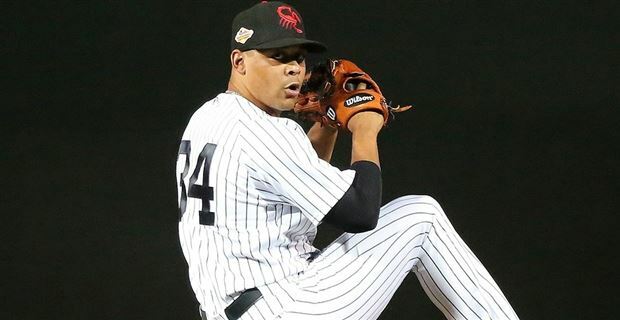 In 5 starts Justus Sheffield had a record of 2-2 with an ERA of 3.10. In all, he pitched a total of 20.1 innings recording 22 strikeouts and issuing only 3 walks. While I only got to catch a couple of his starts, he left quite an impression. I could definitely see Justus pushing to make it to the Bigs in the very near future. 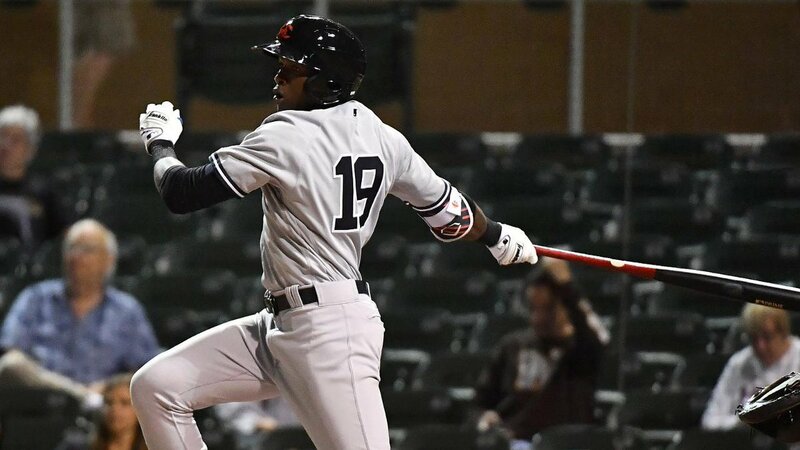 Estevan Florial finished the season batting .286 with 5 doubles and 2 triples while collecting 4 RBI's. While he is a top prospect, you could tell he still has some developing to do. His main issue was the strikeout, as he whiffed 29 times in 70 at-bats. The kid just turned 20 though... so there is plenty of time. He may be the centerfielder of the future, but the Yankees seem alright in the outfield right now, so there is no real reason to rush the kid. 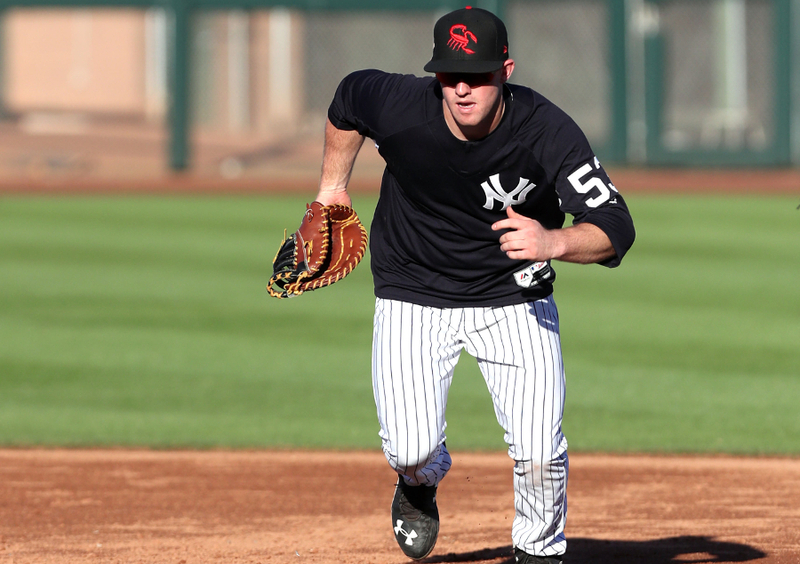 Billy McKinney. We love him here at BYB. McKinney batted .279 hitting 5 doubles, 1 triple, and a home run while collecting 20 RBI's. Billy was sent to the AFL to get some work at first base. Besides playing some first, Billy also played some in left field and handled the DH spot as well. Billy could be in the Bronx as early as next season. It's exciting. 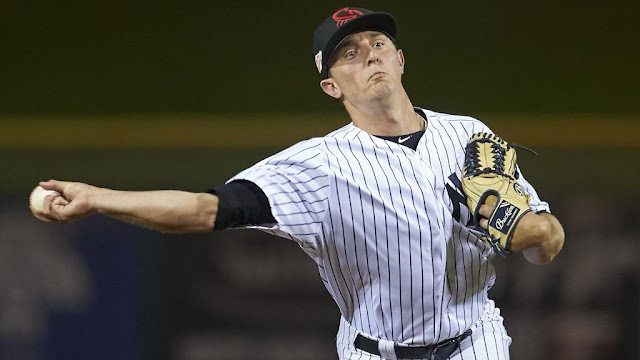 Others Yankee prospects to compete in the Fall League this year were infielder Kyle Holder and relief pitcher Andrew Schwaab. Holder appeared in 11 games batting .333, collecting 3 doubles, a triple, and a home run collecting 6 RBI's. Kyle also only struck out 4 times in 45 at-bats. Schwaab pitched a total of 11.1 innings striking out 8 and walking 7. He ended the season with a 6.35 ERA surrendering 8 earned runs. All stats can be found here on the Arizona Fall League site. The Arizona Fall League is an incredible experience. Something I love watching being out here in AZ. If you ever get a chance, you should come check it out. 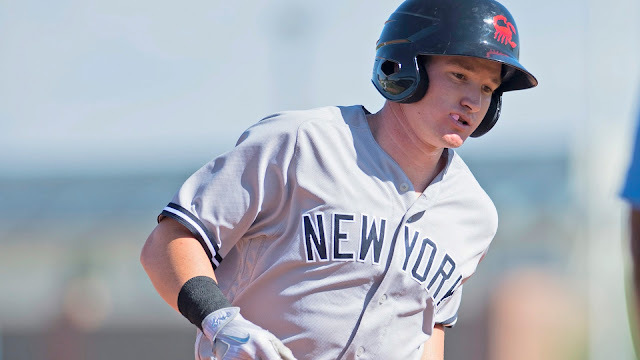 You never know... you may be looking at a future Yankee All-Star! 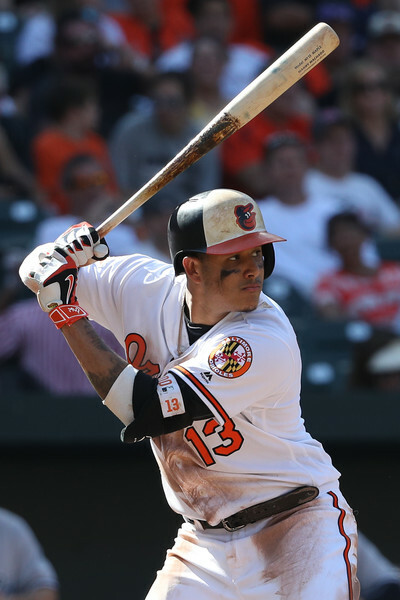 A YANKEE-ORIOLE BLOCKBUSTER THAT WOULD CREATE FAN CHAOS EVERYWHERE! 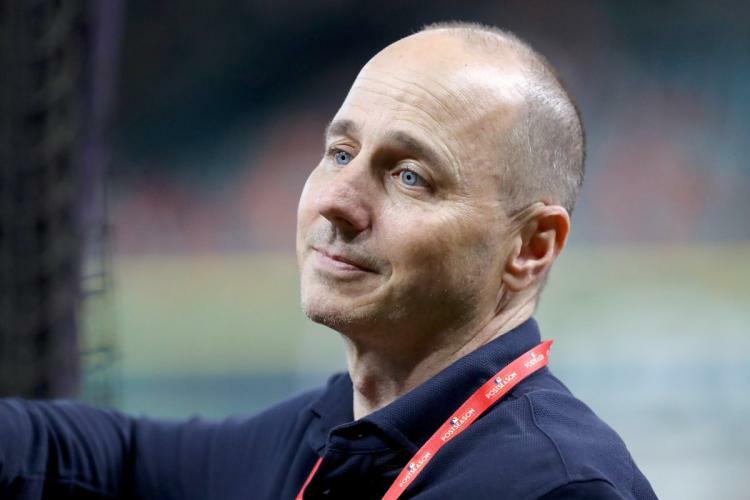 "If an idea from ex-Mets general manager Jim Duquette comes to fruition, Yankees general manager Brian Cashman could be faced with a huge dilemma: Cash in a building block to land one of baseball's best players now or wait a year until free agency to try to have the best of both worlds. 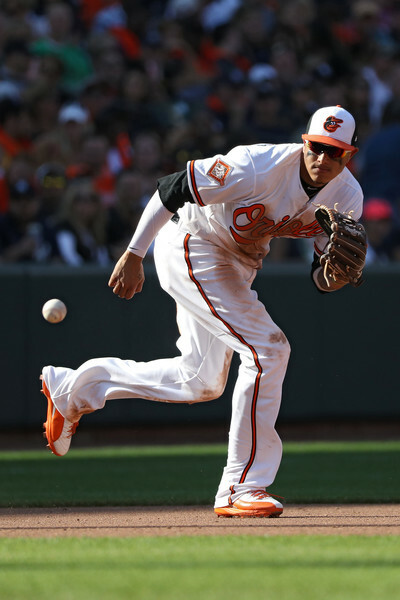 In a piece for MLB.com on Black Friday deals that are waiting to happen, Duquette opined on the idea of the Baltimore Orioles shipping away third baseman Manny Machado one year before his date with free agency. 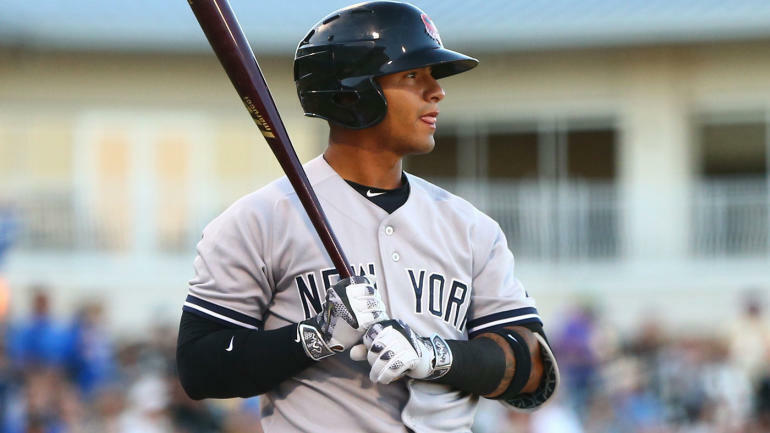 Duquette's hypothetical asking price from the Yankees: Top prospect Gleyber Torres. Here's what he wrote. 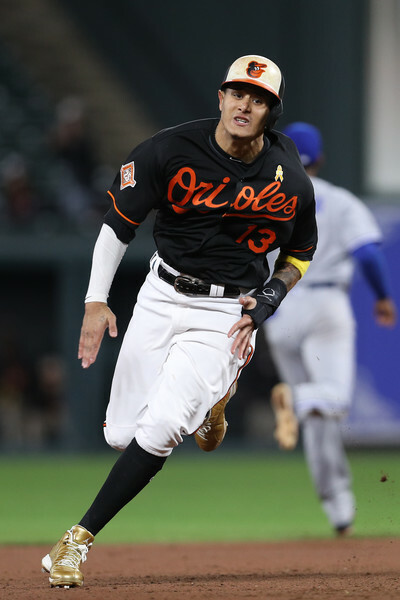 Trading Machado within the division to New York would be a tough sell to the O's fan base, but the Yankees are a perfect fit for Machado, given that they don't have a long-term solution at the hot corner and will likely be a front-runner for his services next year when he hits free agency. If the Yanks would part with shortstop Gleyber Torres, the No. 1 prospect in the game who is coming off Tommy John surgery, that would make it enticing for the Orioles. Both sides would be equally uncomfortable in a deal like that, which usually means it makes plenty of sense." "Cashman could be faced with a huge dilemma: Cash in a building block to land one of baseball's best players now..."
Quite simply... why get rid of Torres for Machado now? Who messes with a division rival now when we really don't have to? And so it goes back to my headline. You wanna see the head's explode from Yankee fans and Oriole fans alike over this hinting of a trade of Torres for Machado? You're about to. But wait... take a deep breath for a second. Step back... realize this is speculation on a quiet sports news week and realize that there is no real news out there except for Ohtani. Now... you see what's happening here? It's a speculation piece. That's it. I don't see this happening at all. But damn it sure did give me a heart attack. UP TO 80% OFF Ultimate Gifts at the Black Friday - Cyber Monday Savings Event at SteinerSports.com! Check this page for new blockbuster deals added through Black Friday, all weekend, and Cyber Monday! All sports, Star Wars, game used and more! 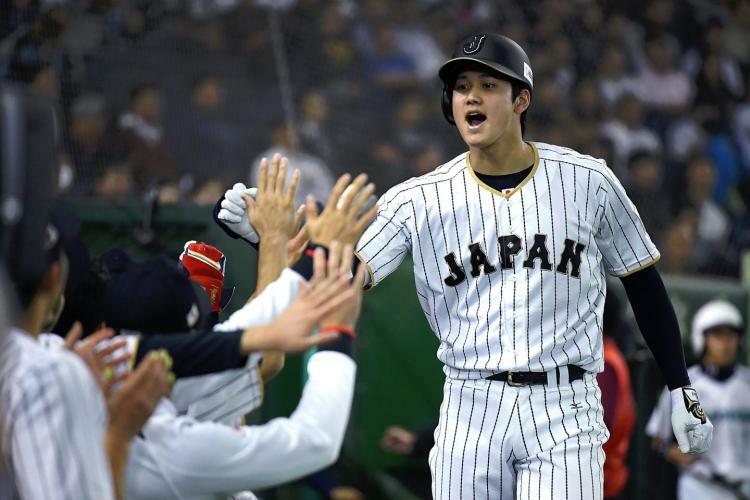 The Yankees and anyone else interested in signing Shohei Ohtani all want to woo Otani and it's not going to be easy. This sales pitch will also have to come in writing and not just in English but also in Japanese. Yikes! This sounds like one hell of a homework assignment. "The memo from Nez Balelo, co-head of CAA Baseball, was distributed to all 30 teams by the commissioner’s office late Friday along with materials for the Dec. 1 vote on a new posting agreement between Major League Baseball and Nippon Professional Baseball. If the deal is approved, the 23-year-old is expected to be put up for bid later that day or the following day. 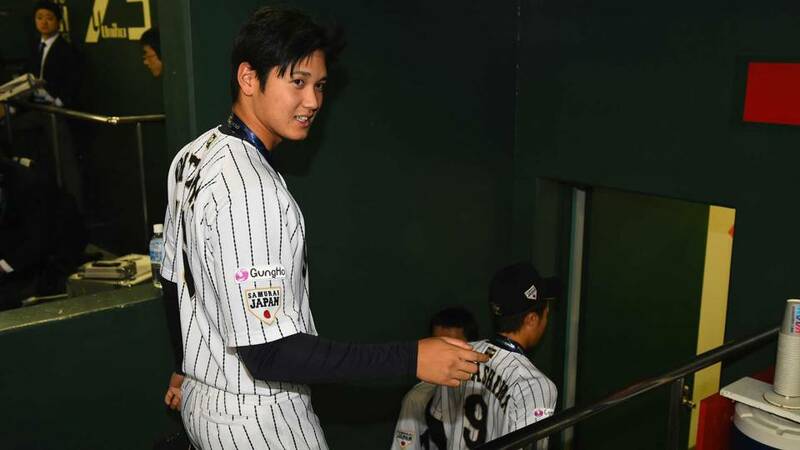 Balelo’s memo asks for a team to evaluate Ohtani’s talent as a pitcher and as a hitter; to explain its player development, medical training and player performance philosophies and facilities; to describe its minor league and spring training facilities; to detail resources for Ohtani’s cultural assimilation into the team’s city; to demonstrate a vision for how Ohtani could integrate into the team’s organization; and to tell Ohtani why the team is a desirable place to play. Each team was asked to provide its answers in both languages as soon as possible. Clubs were told not to include any financial terms of a possible contract." 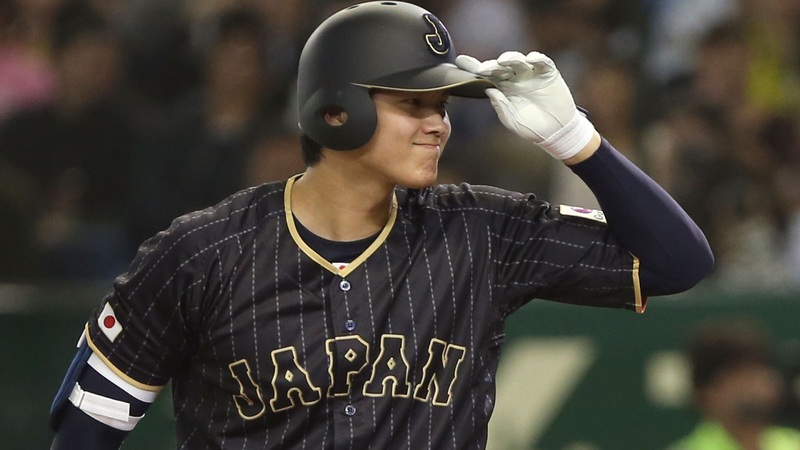 This is a very unusual request, but Ohtani is a very unique player and clearly interested in how he fits in with a team on a long term commitment. I actually dig this proposal. It's clear that Ohtani wants to play for a team that will allow him to pitch and hit and a wordy sales pitch isn't enough for him. He wants those words in writing too and when he makes a commitment to someone (it would be nice if it were the Yankees!) he wants an equal commitment in return. 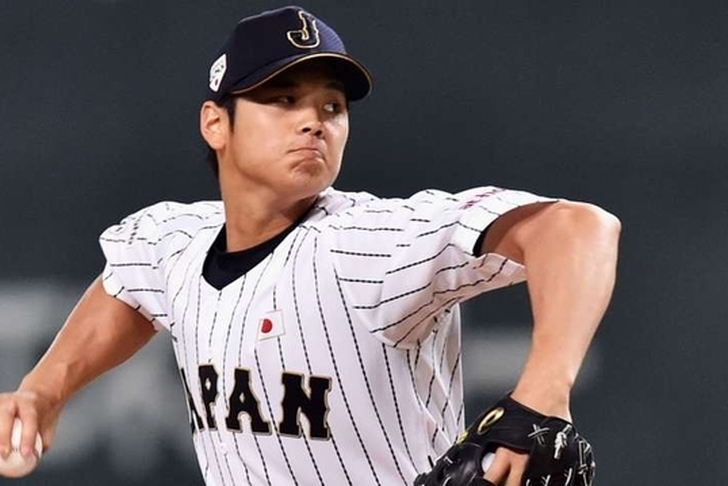 I previously wrote that while the Texas Rangers have the most money to spent on Ohtani at $3,535,000 and the Yankees are right behind at $3.5 million the Seattle Mariners will fight hard to sign him. 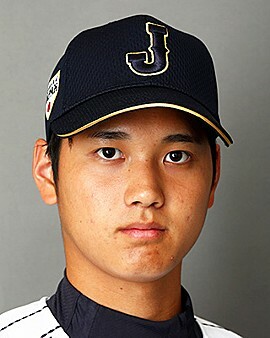 No other team has been as vocal about how they will give Ohtani time to pitch and hit as the Seattle Mariners. 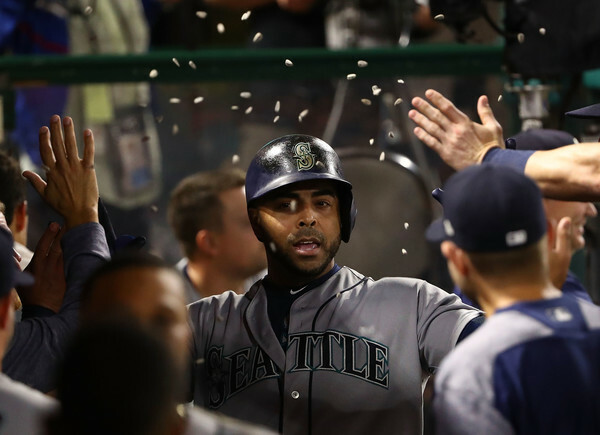 GM Jerry Dipoto even said they would move Nelson Cruz between DH and the outfield as needed in order to give Ohtani more opportunities to hit, read more on that HERE. So Ohtani's agent means business and Dipoto so far has the best pitch....but this is far from over. I just hope the Yankees go above and beyond on their homework assignment. Things are getting interesting. Are the Yankees still the favorite or do the Mariners win this with extra credit? 67 million. 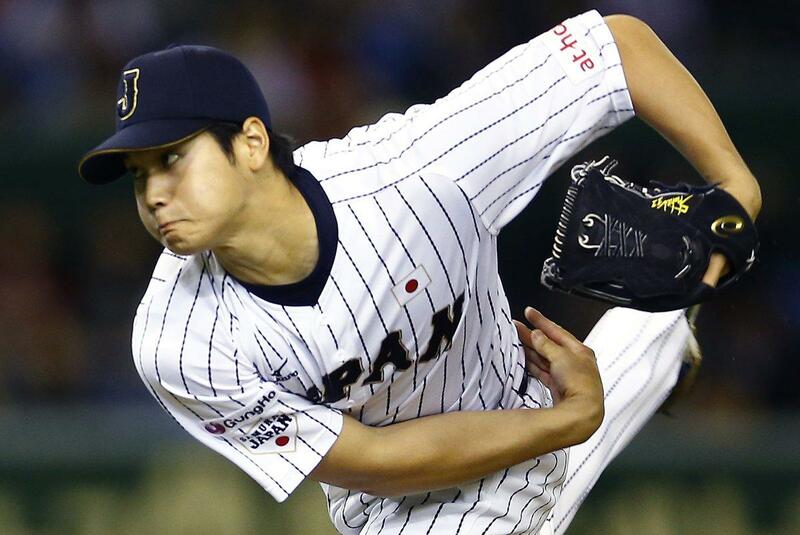 That's what Masahiro Tanaka opted in for as he signed a three-year contract with the Yankees. Yet experts say that he could have cleaned up this winter landing more than 100 million, ranking fifth on the free agent pitcher's list. 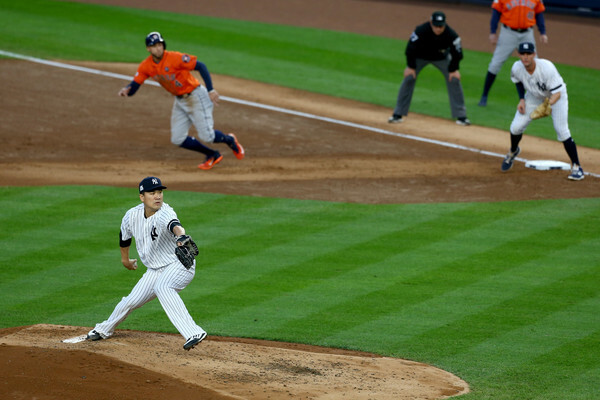 According to SB Nation, "Tanaka would have entered free agency as a 29-year-old with a career 118 ERA+. Two off seasons ago, Jordan Zimmermann entered free agency at 30, with the same career ERA+, and earned $110 million." 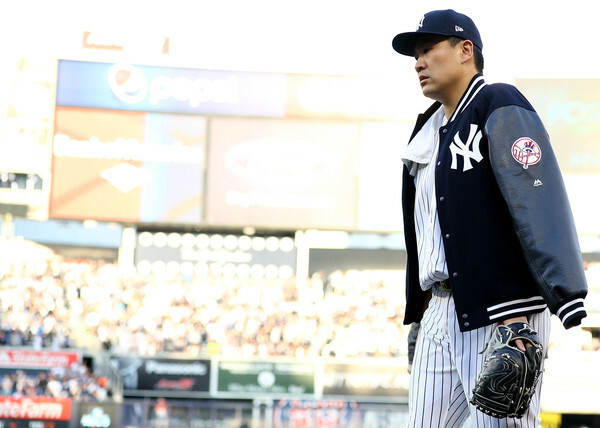 Back in early November, Tanaka stated that he wished to stay with the Yankees and not test out the free agency market. 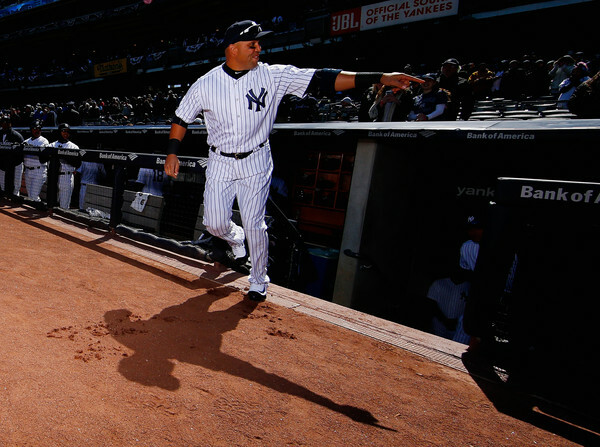 "I have decided to stay with the Yankees for the next three seasons. It was a simple decision for me, as I have truly enjoyed the past four years playing for this organization and for the wonderful fans of New York," reported ESPN. Since Tanaka passed on his opt out, the Yankees are in a great position both financially and rotation-wise. In recent years, MLB has seen dozens of their players either exercise their opt outs requiring their former teams to search for a quality player, or they fail to utilize the option and stick their teams with a bad contract. 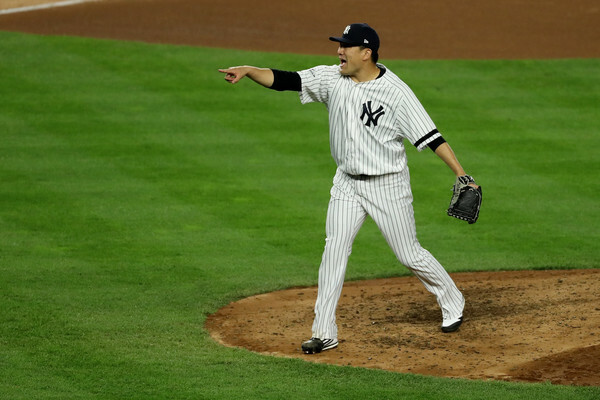 Tanaka truly showed how much he loves his New York team by opting in and not fishing for more in the marketplace. 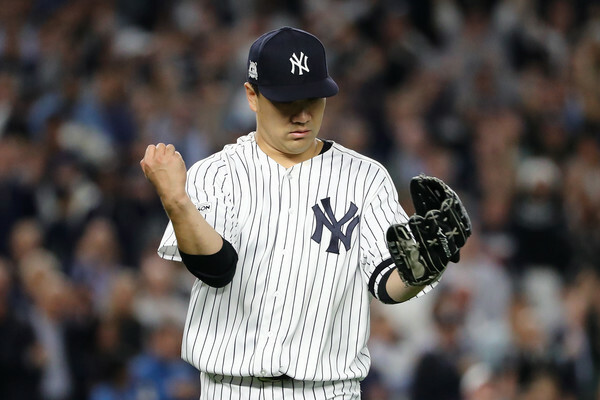 "Tanaka has been their best starter over the past three years, has not seen his elbow bark since 2014, and he now projects to be a quality front-line starter in the prime of his career for the next three years at a reasonable price," reported SB Nation. 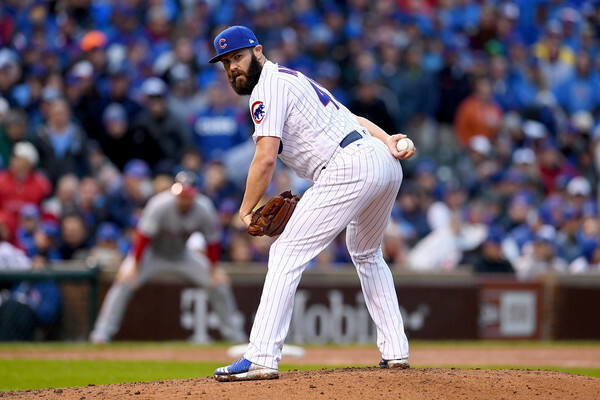 Yup, Jake Arrieta is a free agent, and the Yankees would be fools not to at least give him a look. Now look, that headline above may seem deceiving, but it's not. It's a question. I thought for sure the Yankees would be looking at a stud like Arrieta, but it doesn't appear to be a big name they want. In fact, I suspect all their resources go toward Shohei Ohtani. Anyway... this is what we found on the Arrieta-Yankee connection... if anything. "The Cardinals, Nationals, Astros, Rangers, Phillies, Yankees, Angels, Mariners, Braves, Twins, and Dodgers could be in the mix depending on the price." Alot of competition there. Yanks may just bag it. In fact, Nick Cafardo of the Boston Globe does his "Rumor Mic Drop" and doesn't even include the Yanks. 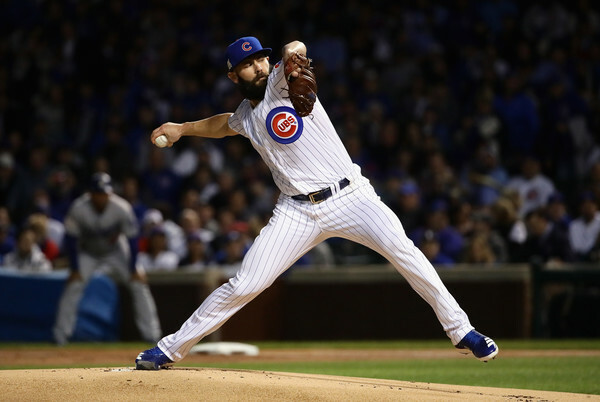 "Jake Arrieta has already received a lot of interest as arguably the top free agent pitcher, or at least co-No. 1 with Yu Darvish. The Brewers, Twins, Blue Jays, Rockies, and Rangers are known to have checked in with agent Scott Boras. 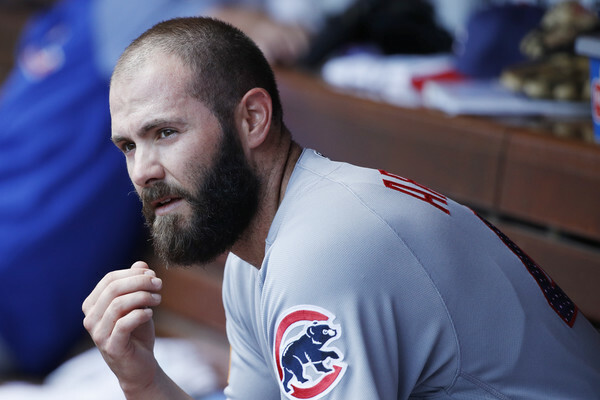 It’s still not out of the realm of possibility that the Cubs attempt to re-sign him." Gives me even more reason to suggest the Yanks are going another route.